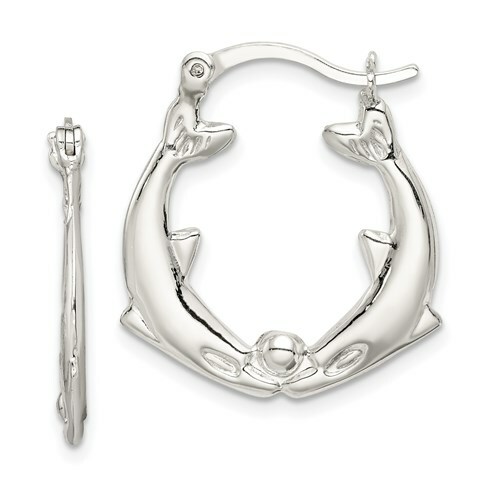 Kissing dolphins hoop earrings are made of sterling silver. 3-dimensional, hollow earrings measure 1 inch tall. Weight: 3.2 grams. Hinged post. Import.